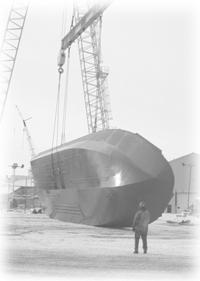 Seacraft Design is a full service Naval Architecture firm serving the commercial workboat industry. We are seeking an experienced professional to provide design engineering for all aspects of vessel design and consulting. The position involves both management and production roles on multiple projects. Marine industry experience is the essential qualification sought in a candidate, requiring a thorough knowledge of commercial vessel construction and shipboard systems. A naval architecture degree and/or PE license are strong assets, but will be considered secondary to practical knowledge and experience in selecting a candidate. The key aspect of the position will be combining known practices that work with innovative solutions to specific applications, transforming them into clear and concise design drawings and documents. Familiarity with US regulatory and classification society standards is required, as well as proficiency with industry standard design software. Compensation will be commensurate with experience and capabilities. The individual filling this position will have the opportunity to directly influence the value of his/her personal contributions through ability and effort. A benefit package is offered. 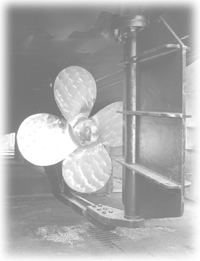 Seacraft Design is a growing firm with a solid reputation in the workboat industry, particularly in the small passenger vessel and offshore service vessel markets. We serve clients nationwide from our location in Sturgeon Bay, Wisconsin, the maritime center of the Great Lakes.